The Globalist’s record under Obama and previous regimes with regard to nation building has been less than stellar. A record of horrific failure, political upheaval, terrorism and financial ruin aren’t enough to keep them from trying. They’ll continue spending our resources and political capital in pursuit of the profits and opportunities that come with interventionism. The problem that Senator Lindsey Graham has with Donald Trump is determined by the fact that Graham is owned by the corporate elites and Trump is unwilling to let America continue to be pillaged in pursuit of profit and power. Our current policy of international meddling will come to a halt under Donald Trump and that means so will the corporate riches. Just why it is that the removal of Syrian President Assad is of such importance to the United States has never been explained by Senator Graham or his terrorist-loving sidekick John McCain. It’s got Graham so worked up he’s pounding the table with both hands as he lays the foundation for his arguments for military action. It’s apparent that the removal of Assad, the precursor to another adventure in destabilization and a throw of the political dice such as the regime elites have already undertaken in Iraq, Egypt and Libya is a subject near and dear to Senator Graham. He’ll spend the rest of his time discussing that prospect. 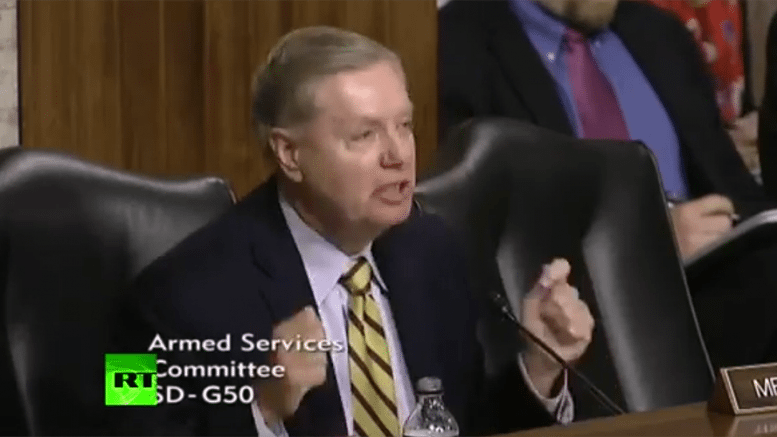 Graham states that America has two objectives, to destroy ISIS and to remove Assad. Dunford clarifies that there is only one military objective, the destruction of ISIS, that removing Assad would be a political objective. He pounds the railing in front of him again, asking, “So, if the main fighting force inside of Syria is not signed up to take Assad out, where does that force come from?” Graham may be making the case for his ISIS allies to be given overt or more covert support by the United States. He seems willing to do just about anything to find a way to get engaged in an all-out war with Syria, even if it includes going to war with Russia. He directs his next question to that topic, first asking for a confirmation that Russia attacked a UN aid convoy, which he was not able to obtain beyond an opinion from the General. He takes that as confirmation anyway, and as he again pounds his fists, asks, “What should we do about Russia, who was given notice about his convoy, if they in fact bombed a UN convoy delivering UN humanitarian aid? What should we do about that? Carter says the Russians are responsible because they associated themselves with the Syrians. But the Syrians blame the ISIS terrorists who are in control of the region. How can Lindsey Graham be so certain that it wasn’t the bad guys, his and John McCain’s ISIS allies, who did it. They’re the terrorists, the ones who are targeting us and the rest of the world. Why is he so intent on going after the government of Syria that he’s willing to go to war with Russia? Is there really that much money to be made, so much that he would risk World War Three? Graham asks a last question, “Is there a plan B if diplomacy fails, a plan ‘B’ for Syria that has a military component regarding Assad?” It’s clear where he wants to take our nation. And it’s also apparent that he and his fellow establishment elites are increasingly less certain that their girl Hillary will be able to deliver the presidency and an easy path to foreign aggression and entanglements. 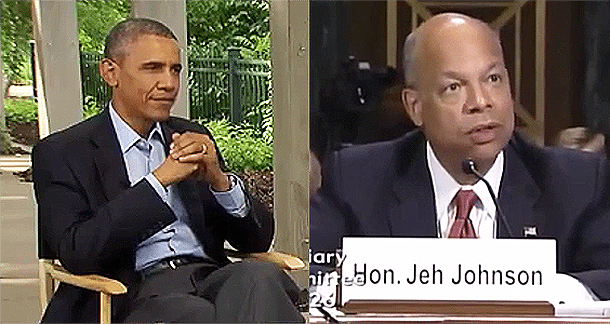 They seem to be on an expedited timetable to get military action underway before Obama leaves office. How is a repeat of Libya good for America, Senator?